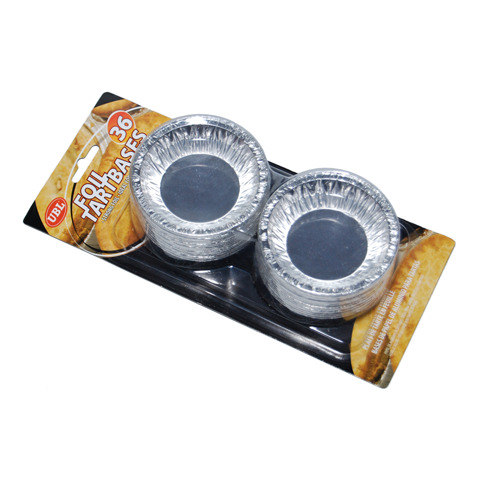 Foil Tart/Pie Cups 36Pk. Each Piece - 8 x 2.5cm. Silver. 0.03mm Thickness Foil. 53G Packaging: Blister Card.